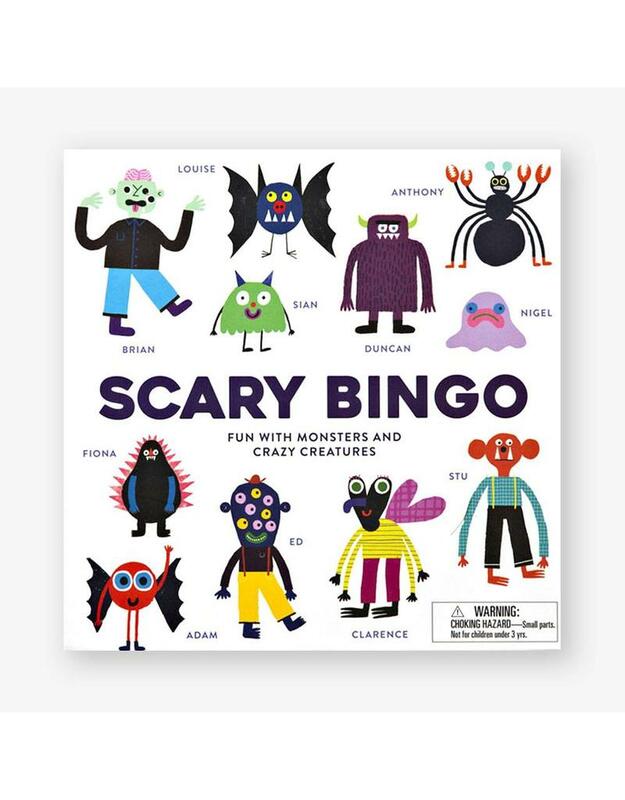 Play bingo with a menacing mummy, a bowler-hat wearing yeti, a multi-eyed monster and many more creepy creatures in this fun and inventive take on the classic gameÉ if you dare. 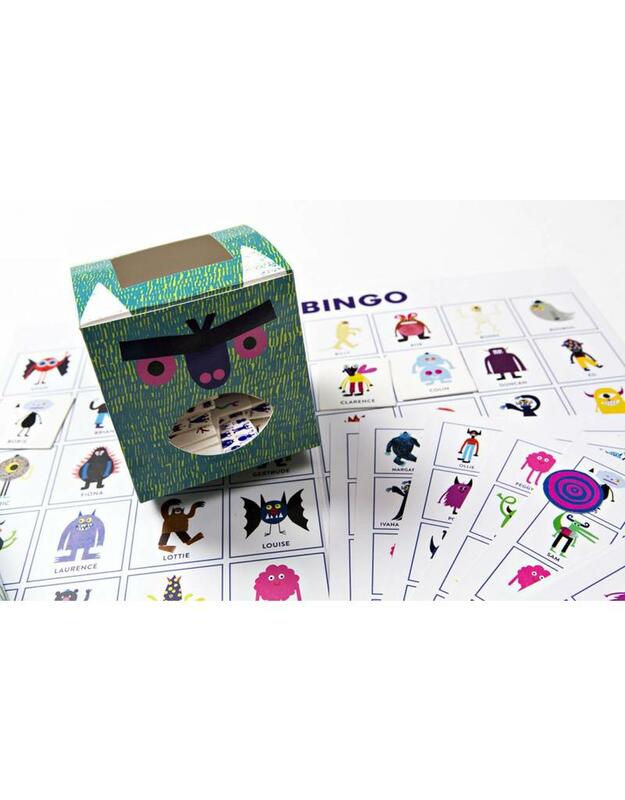 Easy to play and full of strange and colourful characters, Scary Bingo will engage and delight children for hours. 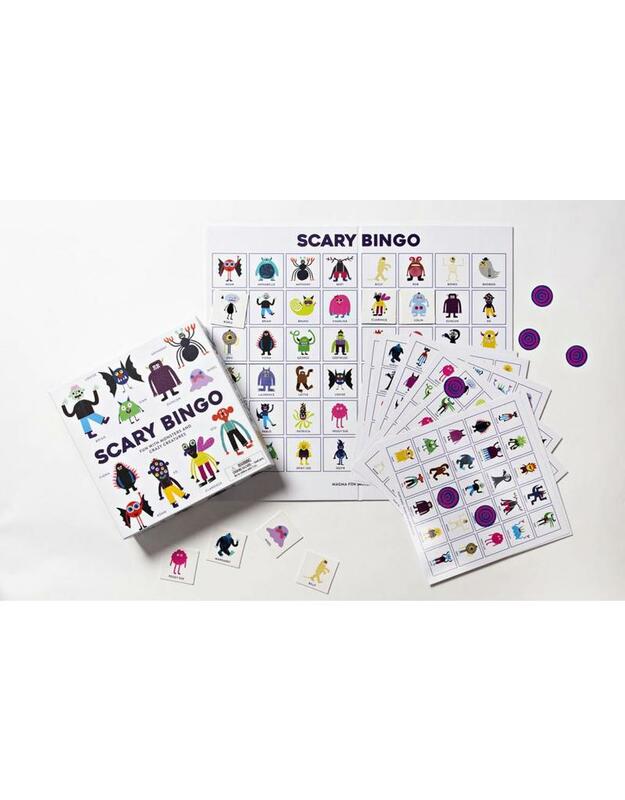 It can be played with 3-7 people, making it the perfect game for families in need of spookily good entertainment. 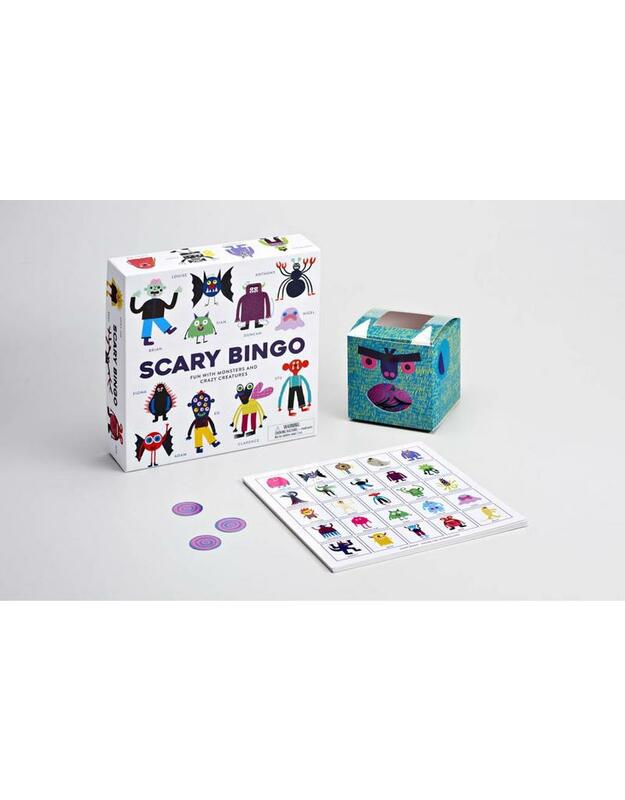 Scary Bingo contains 48 chips and a cardboard monster head to store them in, a game board, eight double-sided bingo cards and googly-eyed counters for you to mark up your card.